50. כָּךְ אַף אֲנִי, אֲנִי וְאַתָּה נֵצֵא מִן הָאָרֶץ [אַף אֲנִי וְאַתָּה נֵלֵךְ בַּגָּלוּת וְנֵצֵא יַחַד]. כָּךְ אָמַר הַקָּדוֹשׁ בָּרוּךְ הוּא: יִשְׂרָאֵל, מָה אֶעֱשֶׂה לָכֶם? הֲרֵי הִלְקֵיתִי אֶתְכֶם וְלֹא הִרְכַּנְתֶּם אָזְנֵיכֶם. הֲרֵי הֵבֵאתִי עֲלֵיהֶם בַּעֲלֵי מָגִנִּים, בַּעֲלֵי חַבָּלָה, לְהַלְקוֹת אֶתְכֶם, וְלֹא שְׁמַעְתֶּם. אִם אוֹצִיא אֶתְכֶם מִן הָאָרֶץ לְבַדְּכֶם, אֲנִי פּוֹחֵד עֲלֵיכֶם מִכַּמָּה דֻבִּים, מִכַּמָּה זְאֵבִים שֶׁיָּקוּמוּ עֲלֵיכֶם וְיַעֲבִירוּ אֶתְכֶם מִן הָעוֹלָם. אֲבָל מָה אֶעֱשֶׂה לָכֶם? אֶלָּא אֲנִי וְאַתֶּם נֵצֵא מִן הָאָרֶץ וְנֵלֵךְ לַגָּלוּת. 51. זֶהוּ שֶׁכָּתוּב וְיִסַּרְתִּי אֶתְכֶם, לָלֶכֶת בַּגָּלוּת. וְאִם תֹּאמְרוּ שֶׁאֶעֱזֹב אֶתְכֶם – אַף אֲנִי עִמָּכֶם. שֶׁבַע עַל חַטֹּאתֵיכֶם – זוֹ שֶׁבַע שֶׁתִּתְגָּרֵשׁ עִמָּכֶם. וְלָמָּה? עַל חַטֹּאתֵיכֶם. זֶהוּ שֶׁכָּתוּב (ישעיה נ) וּבְפִשְׁעֵיכֶם שֻׁלְּחָה אִמְּכֶם. אָמַר הַקָּדוֹשׁ בָּרוּךְ הוּא: אַתֶּם גְּרַמְתֶּם שֶׁאֲנִי וְאַתֶּם לֹא נָדוּר (בָּאָרֶץ) בָּעוֹלָם (נְגֹרַשׁ (מֵהָאָרֶץ) מֵהָעוֹלָם), הֲרֵי הַגְּבִירָה יָצְאָה מֵהֵיכָלָהּ עִמָּכֶם. הֲרֵי הַכֹּל נֶחֱרַב, הַהֵיכָל שֶׁלִּי וְשֶׁלָּכֶם נֶחֱרַב. שֶׁהֲרֵי לְמֶלֶךְ לֹא רָאוּי הֵיכָל אֶלָּא כְּשֶׁהוּא נִכְנָס עִם הַגְּבִירָה. וְשִׂמְחַת הַמֶּלֶךְ אֵינָהּ נִמְצֵאת. אֶלָּא בְּשָׁעָה שֶׁנִּכְנָס לְהֵיכַל הַגְּבִירָה, וְנִמְצָא בְנָהּ עִמָּהּ בַּהֵיכָל, כֻּלָּם שְׂמֵחִים כְּאֶחָד. עַכְשָׁו שֶׁאֵין נִמְצָאִים הַבֵּן עִם הַגְּבִירָה, הֲרֵי הַהֵיכָל חָרֵב מֵהַכֹּל. אֶלָּא אֲנִי מָה אֶעֱשֶׂה? אַף אֲנִי עִמָּכֶם. וְעַכְשָׁו, אַף עַל גַּב שֶׁיִּשְׂרָאֵל הֵם בַּגָּלוּת, הַקָּדוֹשׁ בָּרוּךְ הוּא נִמְצָא עִמָּהֶם וְלֹא עוֹזֵב אוֹתָם. שֶׁכַּאֲשֶׁר יֵצְאוּ יִשְׂרָאֵל מִן הַגָּלוּת, הַקָּדוֹשׁ בָּרוּךְ הוּא יָשׁוּב עִמָּם, שֶׁכָּתוּב (דברים ל) וְשָׁב ה’ אֱלֹהֶיךָ, וְשָׁב ה’ אֱלֹהֶיךָ וַדַּאי, וַהֲרֵי נִתְבָּאֵר. God brought wars and harsh judgments on the Israelites but they didn’t return to him and follow the laws. ‘seven over your sins’ is the aspect of the Shechina in Malchut that protects them while they are in exile. Our mother is the Shechina and our protector. God, YHVH, the King, needed to make a bill of divorce to separate himself from his Queen, the Shechina, so she can be her children, the Israelites, in exile. The Holy Temple that was the palace for the King and Queen to unify and support the kingdom, Malchut, was destroyed because of the children’ transgressions. Now even though the Israelites are in Exile God is with them and will reveal himself when they come out of exile. God promised to return to us and redeem us. Many people try to interpret prophecies and find the day Mashiach and God’s revelation would happen. This desire to know the date indicate weak faith. We should return to the Torah and God before God returns to us because this event would find many people not ready for him with a pure and proper vessel for the great light of the Final Redemption. Looking for the date of the revelation is like a person wish to sleep until the light comes and he will wake up. Each time he gets a message to wake up early and get ready, he hits the ‘snooze’ button go back to sleep. Such people most likely to miss the great Revelation. This event is not and cannot be found in the books or registered on our calendar. The Zohar didn’t give us a date but a description of what would happen when the time comes. 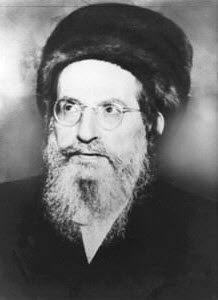 Many great Kabbalists reveal some vague possible times for the coming of Mashiach but so far none was understood properly or came to be. World events lead us to the feeling that there is a great potential for world chaos to erupt. In such chaos only Mashiach would be able to save us. I pray and hope that it’s not too late for people to wake up and dedicate more time for study and follow the ways of the Torah to have a pure and proper vessel. It’s time to wake up for the light because when the negative side attacks with full force we need to have the certainty and protection of our mother. Wake up now! Don’t snooze!